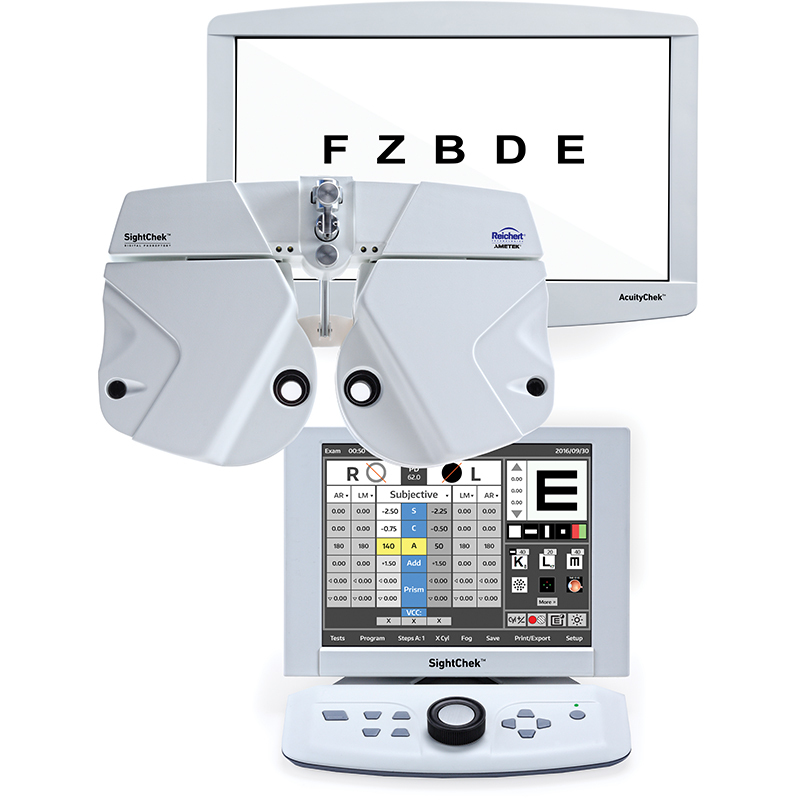 Reichert’s legacy in refraction continues.For over 90 years, the Phoroptor® name has been synonymous with the world’s finest refracting instrument. Phoroptor® VRx continues with the same legendary engineering, quality, craftsmanship, and reliability – now with the speed and efficiency of a digital refraction. See more of your patient. See more patients. With the most compact digital refractor head available (12.2 W x 8 H x 2.8 D in. 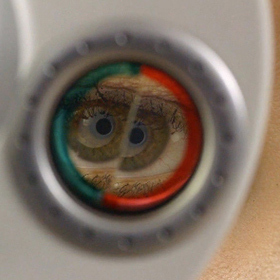 at a 64 mm PD), Phoroptor VRx is non-intimidating and allows for greater patient visibility. 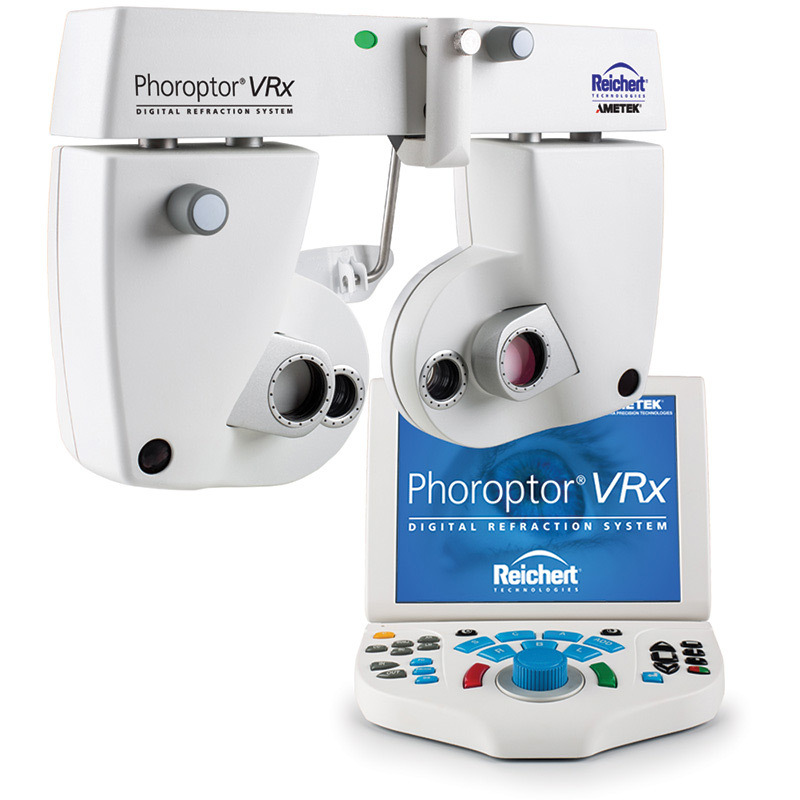 The sleek, refined and high-tech styling of Phoroptor VRx will impress all your current patients and help gain new ones. 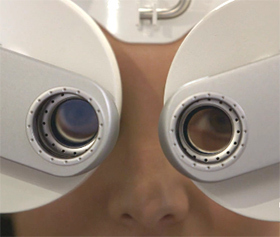 Thinnest Phoroptor yet.To prevent patients from experiencing tunnel vision, Phoroptor VRx has the thinnest lens profile amongst digital refractors, at 26 mm. 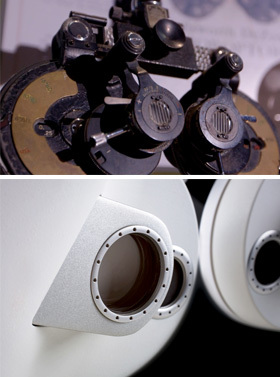 In fact, Phoroptor VRx has a thinner aperture than a manual Phoroptor. 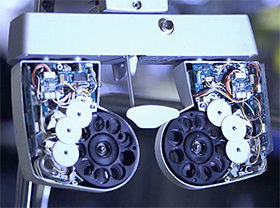 Unique prism lenses. 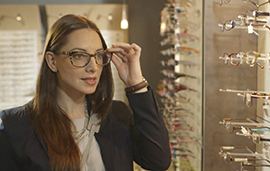 To achieve the thinnest lens profile, Phoroptor VRx has external motorized prism lenses that slide in and out only as needed. Premium parts and assembly.Premium motors and metal housing provides Phoroptor VRx with incredibly fast and ultra-quiet lens exchanges. Unlike other digital refactors, your patients will hardly notice the lens movement. 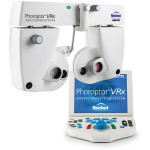 Phoroptor VRx is designed and hand-assembled by skilled technicians in Buffalo, New York, USA. and Split Cylinder Refinement of cylinder power and axis can be accomplished using the familiar Jackson Cross Cylinder or the innovative Smart Cylinder method where cylinder power and axis are automatically bracketed based on the amount of cylinder in the patient’s prescription. 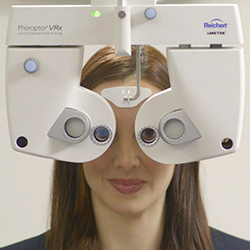 Phoroptor VRx also features a Split Cylinder mode, where patients are simultaneously presented with two targets. 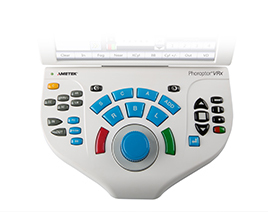 Pre-programmed & programmable tests.To increase efficiency and allow refraction to be delegated to trained technicians, Phoroptor VRx has pre-programmed and programmable test options. 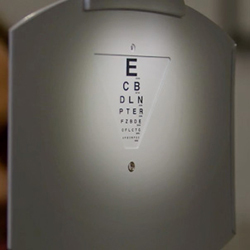 You can choose from pre-programmed tests including astigmatism, phoria, binocular balance, and near vision. 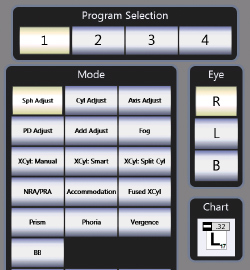 Customize up to four user programmable sequences that can be easily modified or conveniently shared between Phoroptor VRx systems. Illuminated near point The RotoChart near point card is automatically illuminated, with two available brightness levels, when the reading rod is lowered into position. 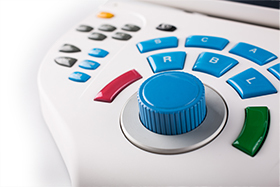 Logical keypad design.The Phoroptor VRx controller features a logically and ergonomically arranged keypad, designed to enhance the user experience. Buttons are grouped based on functionality for easy access: gray for data, blue for refraction, and black for acuity. Buttons are also LED backlit for better visibility in dimly lit exam rooms. 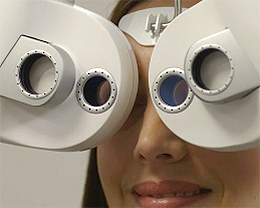 Quickly compare prescriptions.With a single touch, switch between final, subjective, unaided, auto refractor, or lensmeter data, allowing your patient to instantly visualize the difference in prescriptions. 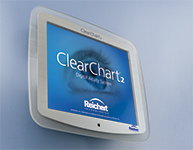 Connectivity to pre-screening and acuity devices.Phoroptor VRx seamlessly connects to Reichert lensmeters, auto refractors, and acuity systems, such as the ClearChart 4, 4x, and 4P along with a comprehensive list of non-Reichert compatible devices. (See Specifications). Wirelessly connected. 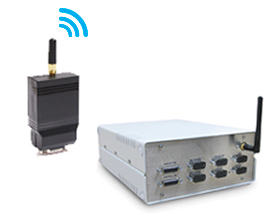 Bluetooth is built into the Phoroptor VRx Central Unit and Reichert Bluetooth adapters (see Specifications) can be paired to connect an external instrument wirelessly. 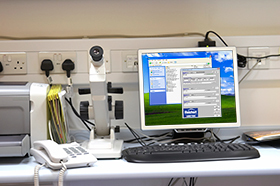 EMR compatibility.Phoroptor VRx integrates with an extensive list of EMR systems, removing the risk of transcription error and increasing patient throughput. 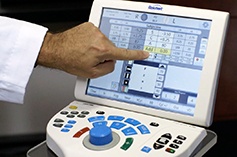 Phoroptor VRx can take advantage of an EMR system’s capability of bi-directional communication, allowing you to import and export refraction data.